DCAP Partners who are already registered with the DCAP Assistance Network, click here to log in. Developed by The Aidmatrix Foundation and hosted by the Dallas Companion Animal Project, the DCAP Assistance Network is designed to build capacity in local animal welfare organizations by bringing more resources to animal shelters and rescue groups. 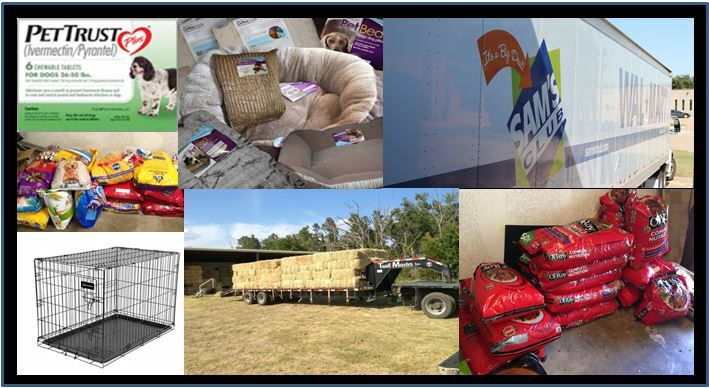 If you are an animal welfare organization in the DFW area, DCAP may be able to help you by connecting you with individuals and companies that wish to support animal welfare and help build your organization’s capacity by donating in-kind goods and services. Find out more about becoming a DCAP Active Partner. If you or your organization have goods or services to donate, DCAP can help you play a pivotal role in solving the city’s most challenging animal welfare problems by enabling you to make in-kind donations with ease and confidence, knowing your donations will be used by credible, fully-vetted charities – and be used effectively. Find out more about becoming a DCAP Associate or Supporting Partner. Anyone can help. Public and unregistered donors are also encouraged to support local animal welfare organizations by donating in-kind goods and services. Click here and scroll down to the “Donors” section to enter the Network. If you have any questions, email us at partners(Replace this parenthesis with the @ sign)dallasanimals.org and we will gladly help!